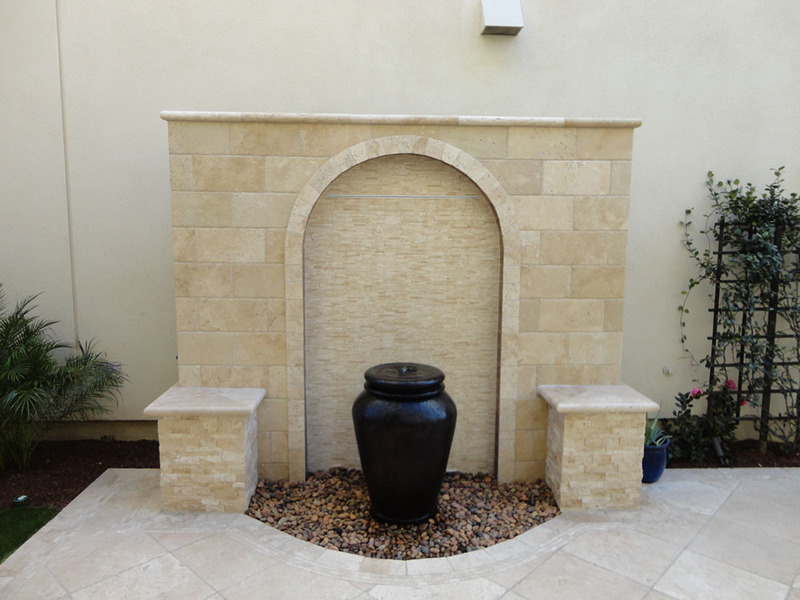 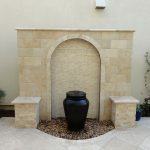 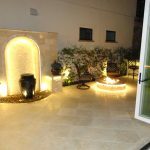 The Mediterranean style water feature has an arched design incorporating tumbled travertine tiles. 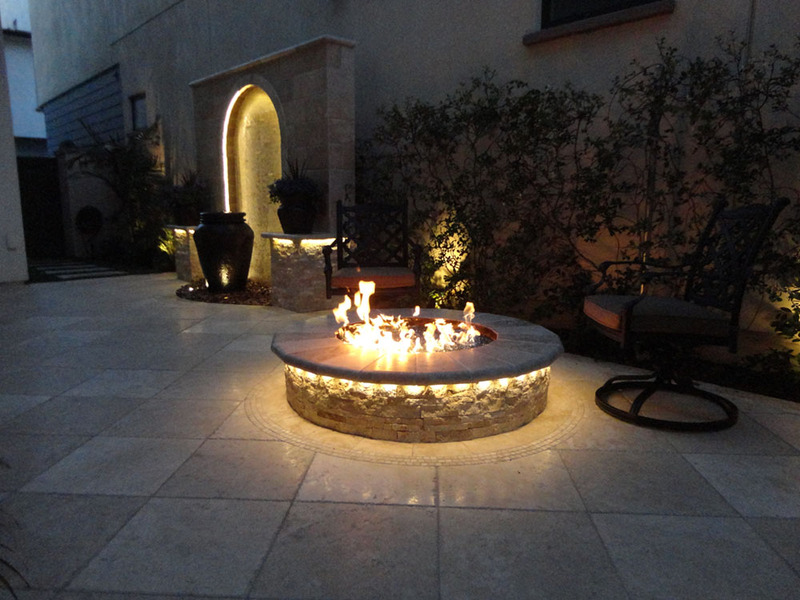 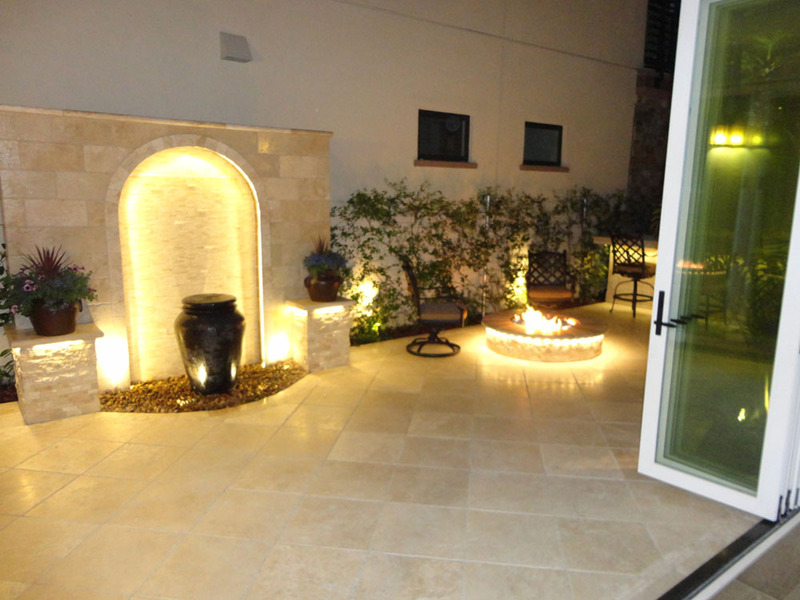 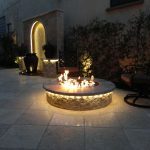 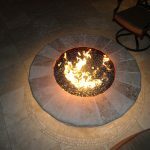 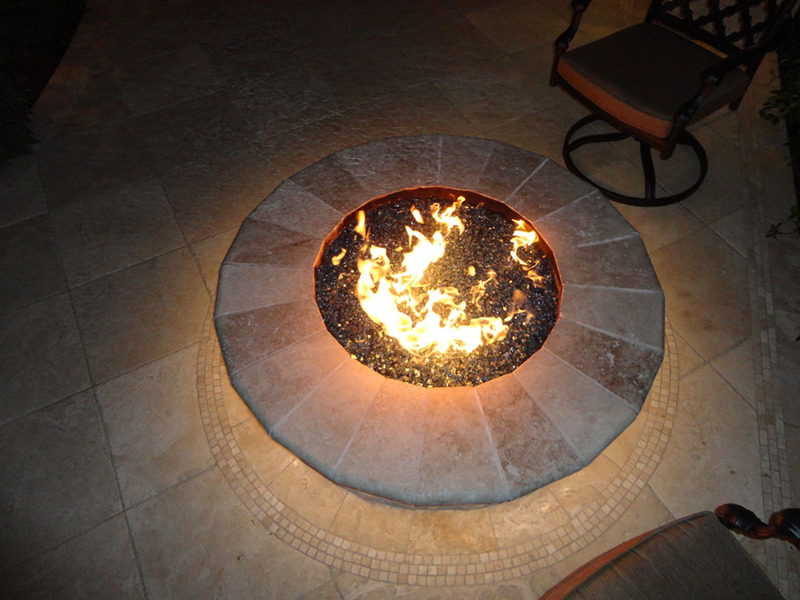 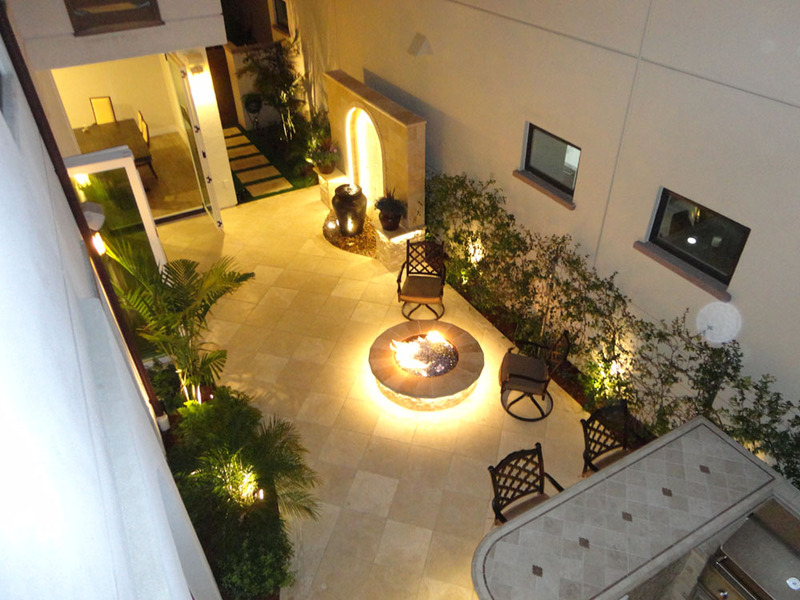 The fire pit with Mediterranean style tumbled bullnosed edge travertine. 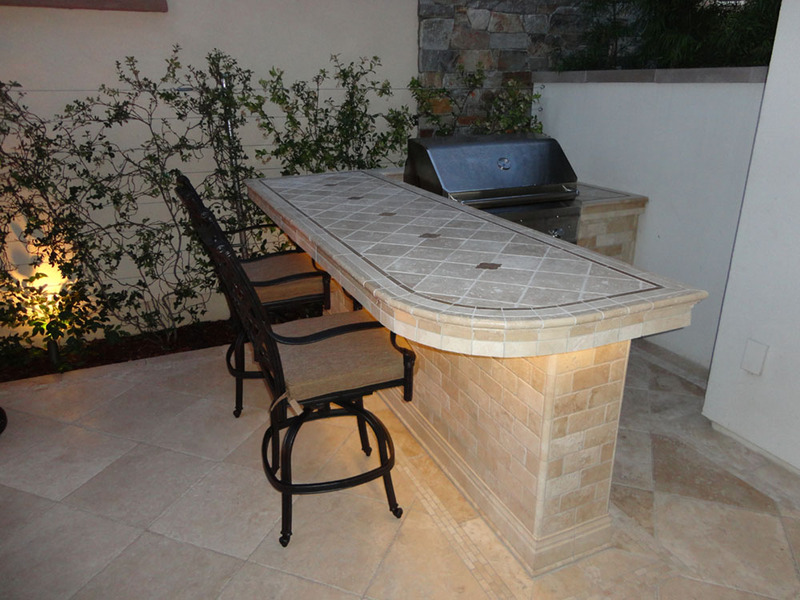 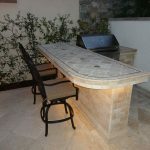 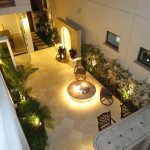 Also, the barbeque and counter incorporate the same Mediterranean travertine tile. 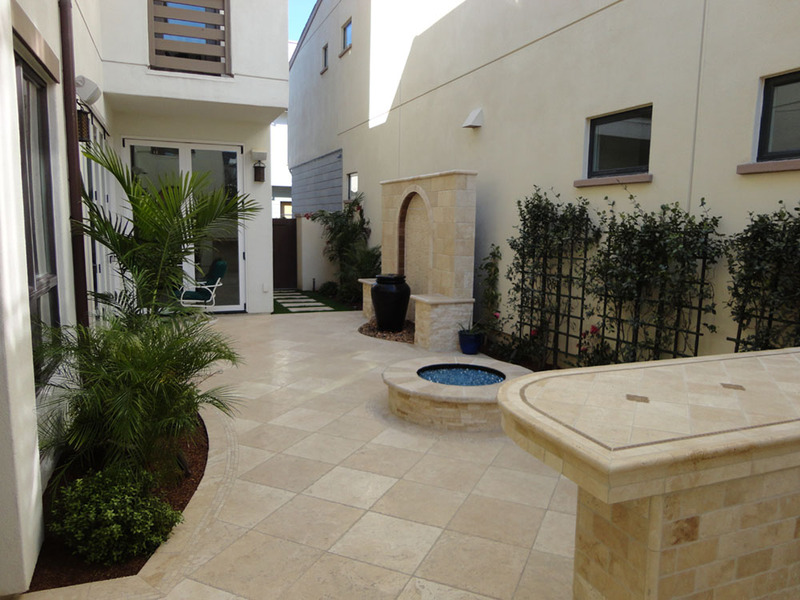 Overall, encompassing an old world Mediterranean theme.